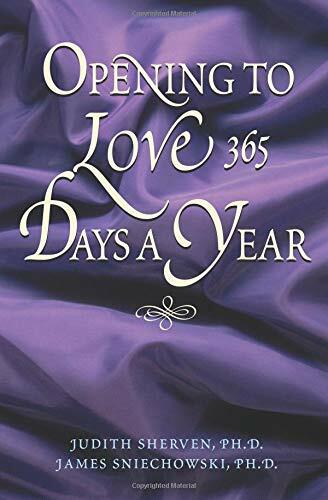 365 different ways, one per day, to help increase and enhance your current romantic relationship. Seems like a simple premise, but this book delivers a lot more than just the usual positive, "feel-good" affirmations. It provides meaningful insights into improving one's relationship and communication skills. It helps a couple celebrate and embrace the differences in their relationship, as well as the similarities. You may imagine that the joy you felt on your wedding day was the best it could get. And some people let their relationship die because all they focused on was the glamour and excitement of the "big day" -- the gown, the showers, the gifts, the wedding, and the honeymoon. But what if your wedding was just the outer symbol for the abundance that could be yours? I open myself to grow as we grow. It's so easy to compare yourself with others, putting yourself down. They are more -- more caring, generous, popular, successful, more... something. And they may be. But that has nothing to do with your life, your challenges and your triumphs -- with your unique capacity to love. My journey can't be compared with anyone else's. Each entry is also followed by a quote related to the entry by a famous or otherwise well-known person. If you like affirmation books in general, I think you'll like this one as well. It's daily, one-a-day format is standard for this market. The trick will be to get your spouse or significant other interested in it with you, since it works best for couples to share. If you don't like affirmation books, then this one won't change your mind.